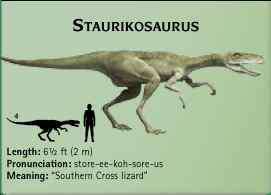 This was the biggest carnivore of the Late Cretaceous, and the top predator in the Hell Creek environment. Several different kinds of turtle lived in the rivers and streams that crossed the floodplain. They were a good source of food for the predators of the creek. UNTiL the 1950s, dinosaur fossils were rarely found in South America since there was very little research carried out on this continent. 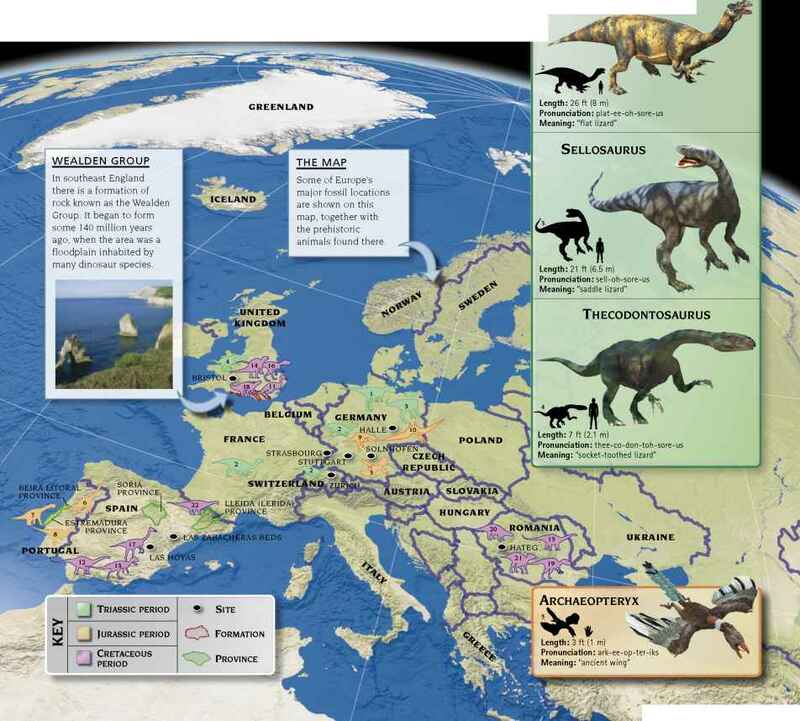 Since then, however, extensive fieldwork by teams of paleontologists—and some chance finds by farmers—has revealed dinosaur bones, eggs, and trackways at about 100 sites across the continent. 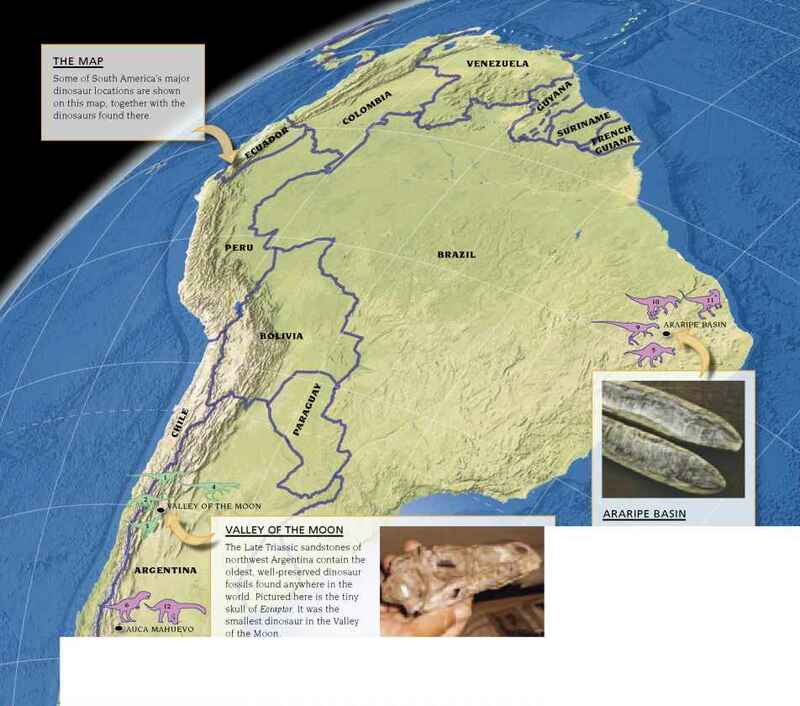 The South American dinosaurs show a close resemblance to those found in North Africa, suggesting that the two continents were still connected during the mid-Cretaceous Period. 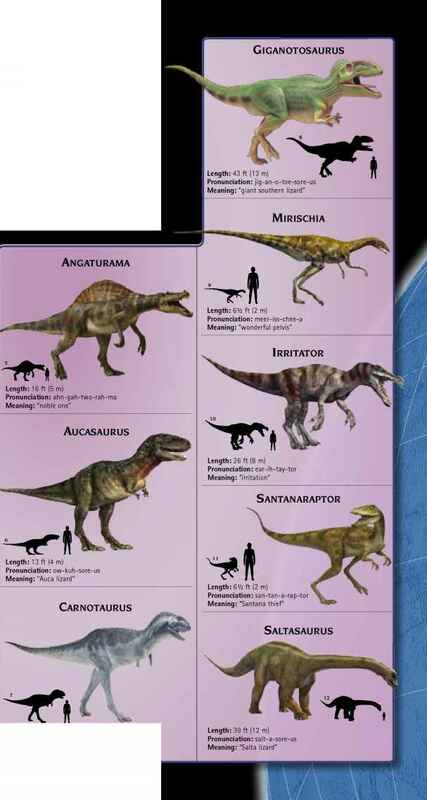 Many dinosaur fossils have been found in the south, especially in Argentina. Although they cover all periods of dinosaur existence, from the Late Triassic to the Late Cretaceous, to date not many Jurassic fossils have been discovered. Pronunciation: herr-ray-ra-sore-us Meaning: "Herrera's lizard"
Pronunciation: kar-noh-tore-us Meaning: "flesh bull"
At this location, in eastern Brazil, the Early Cretaceous limestone of the Santana Formation is a window on the world of 100 million years ago, revealing an abundance of fish fossils (shown above), together with the carnivorous dinosaurs that feasted upon them. A meat-eater from the Middle Jurassic, about 163 million years ago, this dinosaur has been found in southern Argentina, where it may have hunted the area's sauropods. 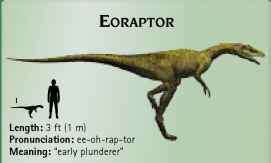 It is one of the few Jurassic dinosaurs to have been discovered so far.